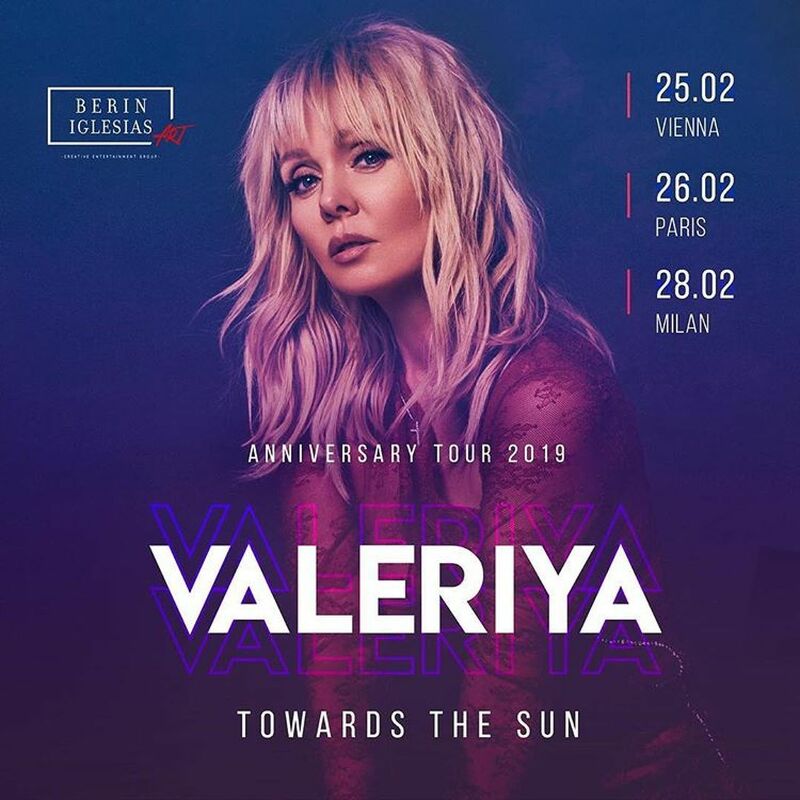 In February 2019, the best European concert halls of Vienna, Paris and Milan will host the long-awaited anniversary concerts «Towards the Sun» of the sophisticated Russian singer Valeriya. Valeriya is a proud winner of thirteen awards of «The Golden Gramophone», four «MuzTV» awards («Best Female Singer 2004», «Best Female Singer 2010», «Best Music Video 2014», «Best Female Singer of the Decade, 2015»), as well as holds two MTV Russia Music Awards as the best female artist. Besides that, Valeriya has won the «Song of the Year» thirteen times.